Award-winning kid rocker, Jim “Mr. Stinky Feet” Cosgrove has been bringing communities together through music since 1998 with his high energy concerts. He has performed more than 3,500 interactive shows throughout North America and Europe, and twice at The White House Easter Egg Roll. He is the author of “Everybody Gets Stinky Feet,” a collection of essays from his time as a parenting columnist for The Kansas City Star. 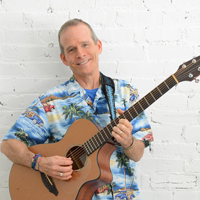 When he isn’t singing or writing, Cosgrove shares inspiring messages with adult audiences, reminding them that taking a child-like (not childish) approach to life creates a more a joy-filled life.